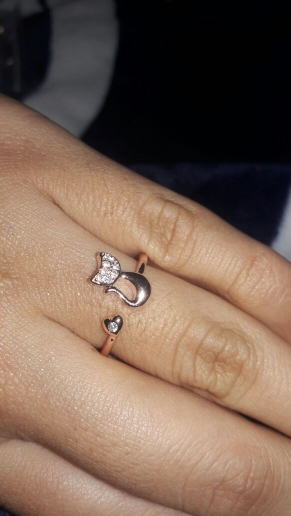 This cat themed adjustable ring will make any cat jewelry lover feel more special and nicer. With this necklace you’ll start carrying an elegant piece of cat jewelry and having a different way to indicate the your pure love of cats everywhere you go ! Additionally you don’t need to pay any unnecessary shipping cost at thekittenpark.com We have free shipping option to your country. Free shipping is taking 12 days to USA and 14 days to Canada/Europe. You can ask your any questions to thekittenpark’s support team at 7/24.